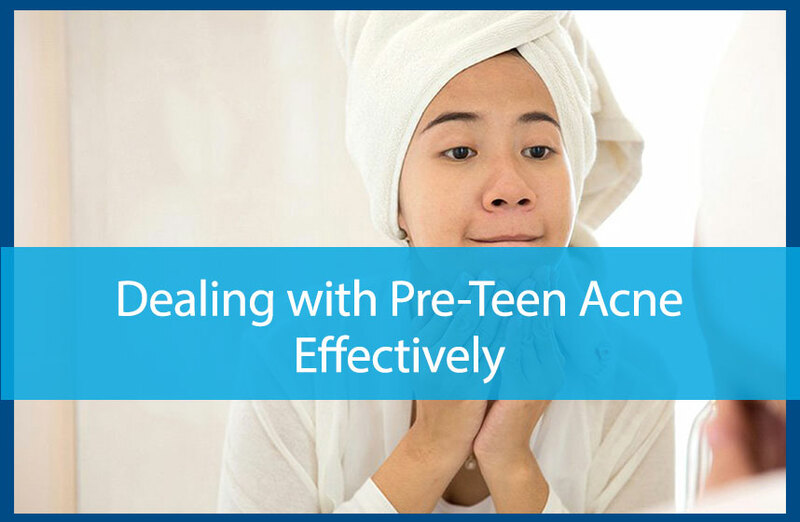 If you are a pre-teen with acne, you are not alone. According to KidsHealth, eight in ten pre-teens have some form of acne. Finding a solution can be tedious since acne can appear in a variety of forms, such as blackheads, whiteheads, cysts, and pimples. However, there are simple ways you can reduce the chances of getting pre-teen acne. Here are a few tips to help you. Washing your face properly is essential to preventing or controlling acne. To prevent oil from clogging your pores, which is a leading cause of acne, wash your face at least once, but no more than twice, per day. Use a mild cleanser made especially for the face along with warm water and your hands. Keep in mind you want to avoid hot water or scrubbing your skin with a washcloth, as these will both irritate the skin. If you have sweat a lot, you want to wash your face afterwards using these tips for best results. Everyone can benefit from using lotion on his or her face as a way to keep the skin soft and hydrated. Otherwise, your skin can dry out and the dead skin cells are apt to clog your pores, leading to acne. Choose a face lotion that is oil-free and for sensitive skin to avoid breakouts. If you wear makeup, go with a non-comedogenic formula in your foundation, meaning it’s especially formulated to not clog pores. You can also find makeup that is made for acne-prone skin. When washing your face after wearing makeup, make sure to remove it completely. Use a facial cleanser that is made to remove makeup gently. If you have long hair, keep it away from your face. Also, wash your hair regularly to prevent oil from your hair clogging your pores. When styling your hair with gel, mousse, or hairspray, avoid getting these on your face as they can block pores. For pre-teens who wear hats, check to see if you have acne along your hairline, which is likely caused by your hat. Wash your hat regularly to remove excess oil buildup. Some hat materials, like wool or synthetic fibers, can also aggravate your skin; so consider using a different type of hat or cap. If your pre-teen acne is not responding to these treatments, visit your dermatologist. Avail Dermatology offers personalized skin assessments to get to the source of your pre-teen acne for the most effective solution. Contact Avail Dermatology at 770-251-5111 today to schedule your appointment for treating pre-teen acne.